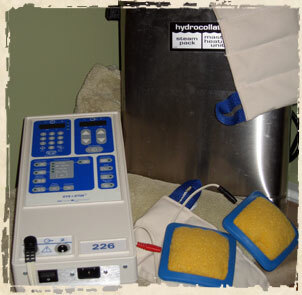 Constitutional hydrotherapy is a combination of a cold compress, a heating compress, and electrical muscle stimulation (EMS). The uses for this therapy include both the stimulation of healing and immune system stimulation, thus allowing a patient to move from a dominant sympathetic state into a relaxing parasympathetic state. It is also used as an adjunct treatment for various conditions including respiratory infections, asthma, premenstrual syndrome, irritable bowel syndrome, and many other conditions to help support the overall immune system. 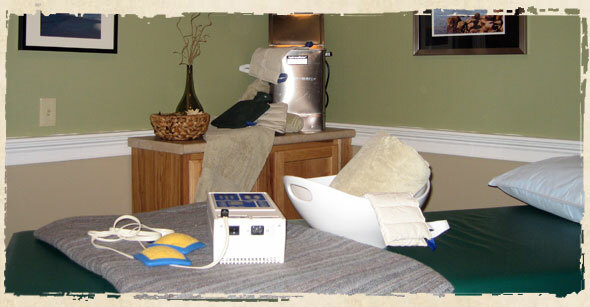 The purpose of EMS is to increase lymph and venous blood flow (via muscular contraction). Patients usually require approximately 10 treatments in order to see benefits.